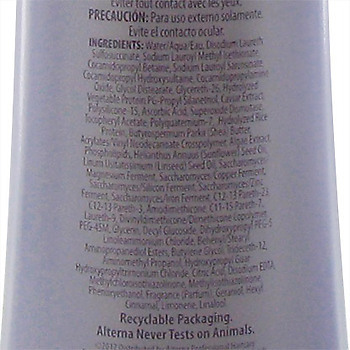 Alterna Caviar Repair Rx Instant Recovery Shampoo and Conditioner is a system designed to redesign damaged, dry frizzy hair, (like mine) using specific proteins and other ingredients, all sulfate free. Lately my hair has been extremely damaged lately. Being pregnant, my hair usually turns on me. The look and feel of my hair becomes darker, thicker, more frizzy and unruley. I started using drug store shampoos but they just werent doing the job. 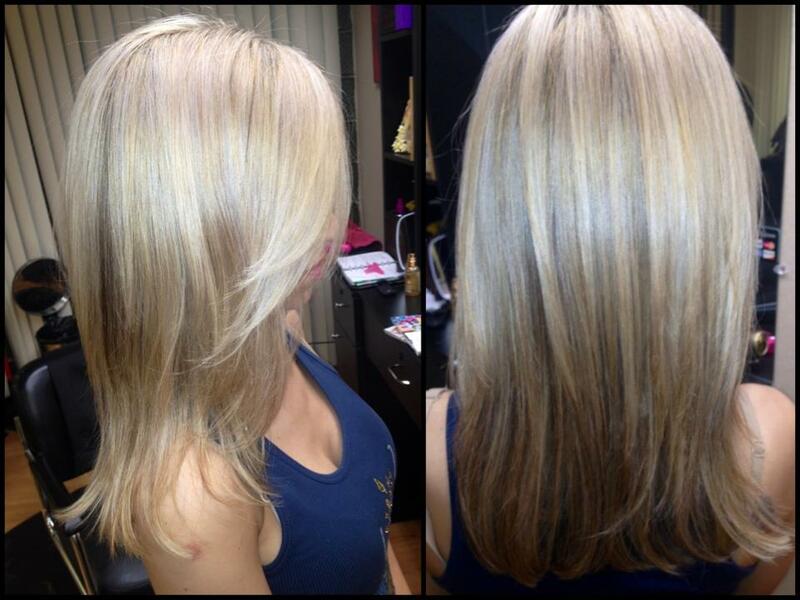 Truth is, it is so hard to find a system that works for damaged hair. Many say they do the job, but which ones actually work? 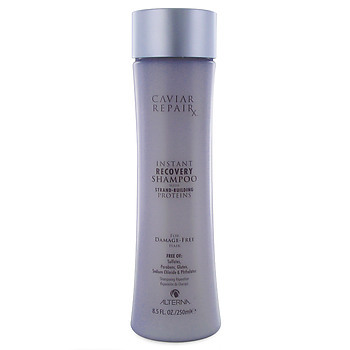 Alterna Caviar Repair Rx Instant Recovery Shampoo is a deeply reparative shampoo which reconstruct each individual strand of hair from the inside out to rebuild, resurface and restore hair, leaving strands strong, healthy, smooth, shiny & fully restored. REBUILDS: This unique ingredient blend delivers essential nutrients to the hair’s interior cortex, nourishing to help strengthen strands. Fills in gaps & tears in the damaged cuticle, reconstructing this protective layer to ensure that nutrients do not escape. Cements the newly constructed, exterior cuticle to the interior cortex, ensuring that the scales of the hair lay flat. Color Hold®: A proprietary color protection complex found in all Alterna products that provides the highest level of color protection from color fade caused by UVA, UVB and visible light rays – including artificial light sources. Enzymetherapy®: A core Alterna technology found in each of our products. Helps to transform ingredients into a micro-structure that the hair can more easily absorb allowing for deeper, more targeted penetration of active ingredients. So does it work? The verdict is in! This stuff is incredible. The first time I didnt notice too much but after 3 washes my hair was less frizzy, softer and much easier to brush through. I have extremely thick wavy hair and I noticed the dry time was less and I had much more of a bounce that I didn't have before. At $32 per bottle, some might brush this off as too expensive ($64 for the set) but it's well worth the high cost. I recommend this for anyone that needs a good repair from too much heat or color damage. This truly is the "caviar" of shampoos, and I think I finally found my "go to" hair repair. Alterna Caviar Repair is available at Folica for $32 per bottle.